If you are looking for a book with pages that seem to turn on their own, then you need to read Her Pretty Face, the new release from the author of last summer's hit, The Party. This novel tells the story of a stay-at-home mom named Francis who is really struggling to fit in with the other moms at her son's new uppity private school. But, then, she meets fellow school mom, Kate. The two women instantly click and embark on a whirlwind friendship. They practically become besties overnight. However, Francis begins to slowly notice that Kate is a little wilder than her beautiful, classy look suggests. For example, she convinces Francis to take off her wedding ring to flirt with some men they meet at an impromptu during-the-school-day wine lunch, and she later seems to put the moves on Francis's husband. But, the big turning point is when Francis discovers Kate is not really Kate at all. Instead, she is someone else completely - new name, new identity. And, the person she left behind in the past is notorious for a gruesome crime. Once Francis finds out Kate's secret, it then turns to a question of whether or not she can (or should) trust her new BFF or if she should end the friendship and protect her family. As Francis has no other friends, this is a bigger decision for her than it would be for others. In addition to a fast-paced, intriguing plot that left me guessing, I liked how the novel was told from three different viewpoints. And, I like how one of the viewpoints surprised me. I also like how Harding has a teenage daughter thrown into the mix. 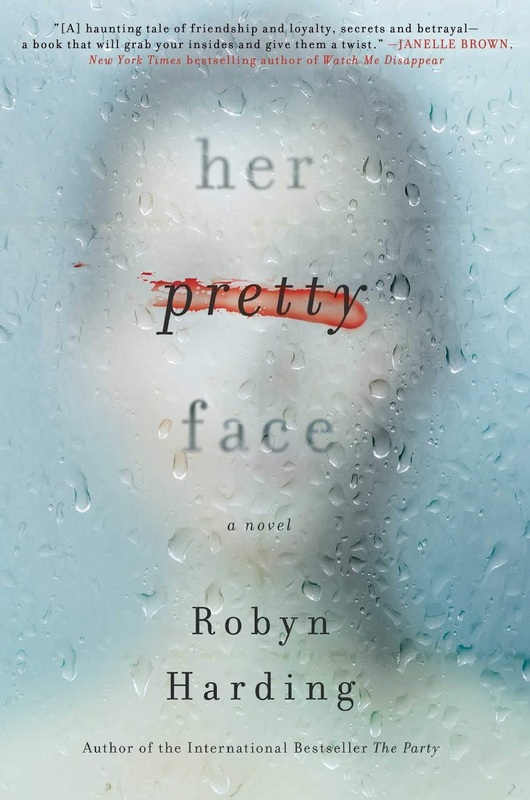 Like her previous novel, the plot seems outlandish, but the questions she poses are important (such as what is she hiding behind HER PRETTY FACE? dun-dun-dun). Thanks to Netgalley and the author for providing me with a copy to read and review!